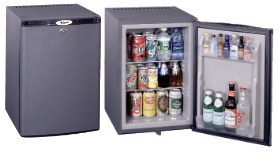 SUMMIT with 30 years of experience in compact refrigerators, now offers an outstanding competitive line of high quality minibars, manufactured by Denmark's leading supplier of minibars. All models have automatic defrost, self locking reversible doors and thoughtfully designed interiors designed to highlight your beverages. These minibars are absolutely silent, and use less energy than most competitive models. Dimensions 20" × 15 3/4" × 18"
Dimensions 22" × 15 3/4" × 17 3/4"
Dimensions 32" × 16" × 19 1/4"
white. This unit can operate on 110 volt (25 amps). 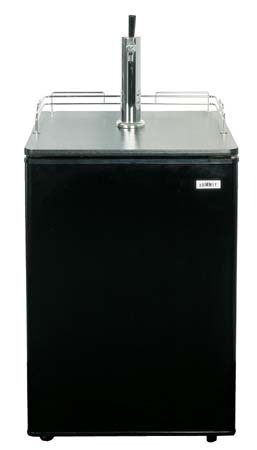 SUMMIT PROFESSIONAL SP6DSSTB-OS is an unique under counter all-refrigerator with three pull out drawers. It is fully stainless steel with stainless steel towel bar handles. It is UL approved for outdoor use. It features automatic defrosting and fan circulation. It has a UL approved outdoor line cord including a built-in GFCI. SUMMIT C48E is the ideal combination kitchen for consumer's looking for the same appeal as our C60E but have limited spacing. 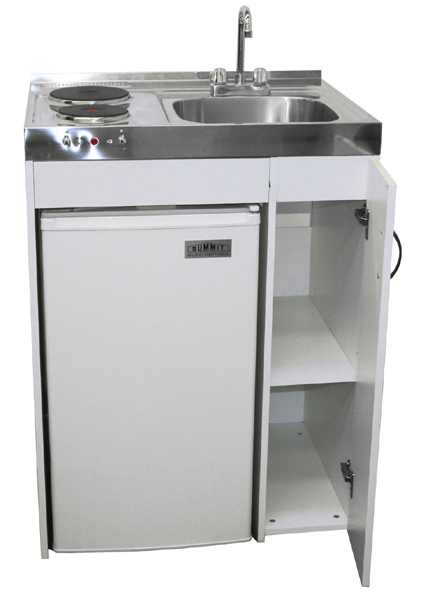 It offers a stainless steel top with drawn sink and two electric burners. This all-in-one kitchen is an excellent space saver. It's 39"x 48" dimesions are great for those hard to fit spaces. 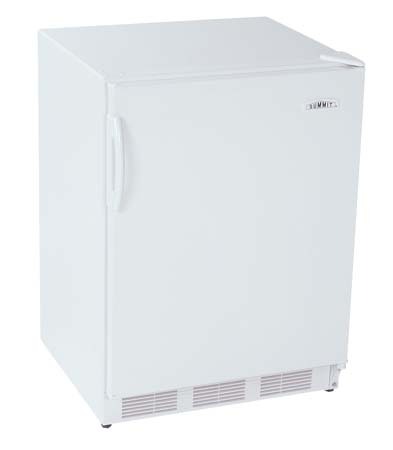 SUMMIT C301 is an all in one kitchen with a refrigerator freezer. 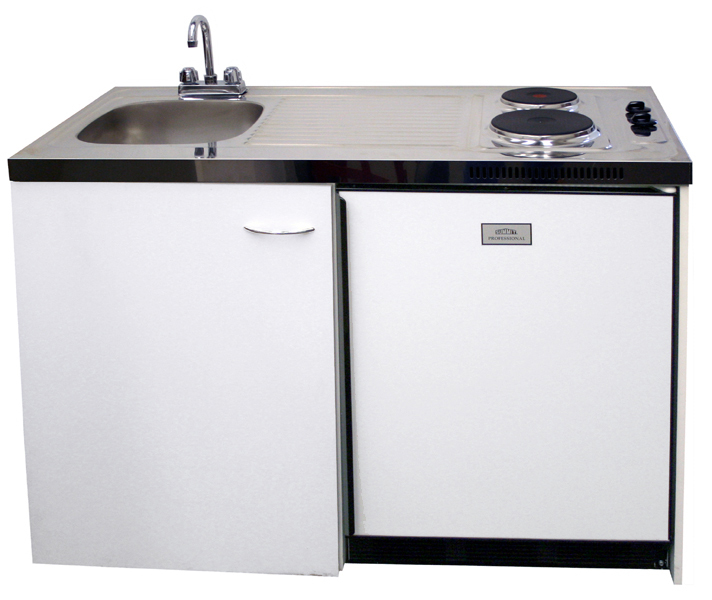 C301's one piece stainless steel top features a right sink and 2 solid element sealed electric burners. 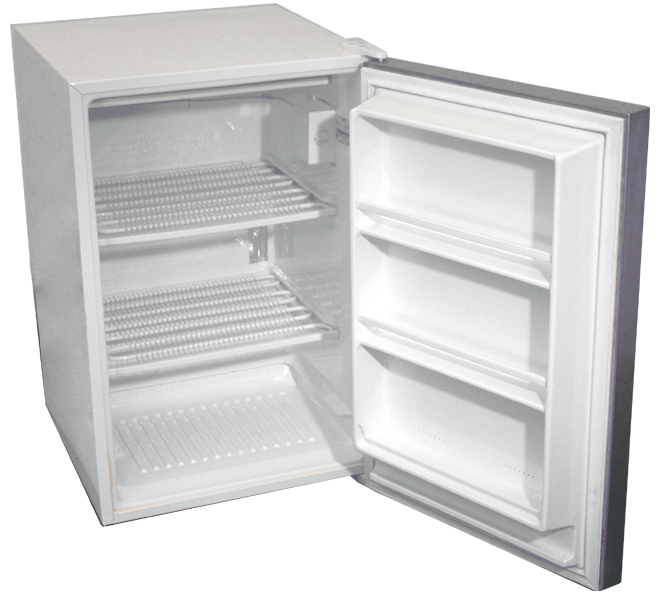 A CM-40 refrigerator-freezer comes standard with this model. This model also includes an undercounter storage compartment with center self. Both cooktop and refrigerator are 110V. 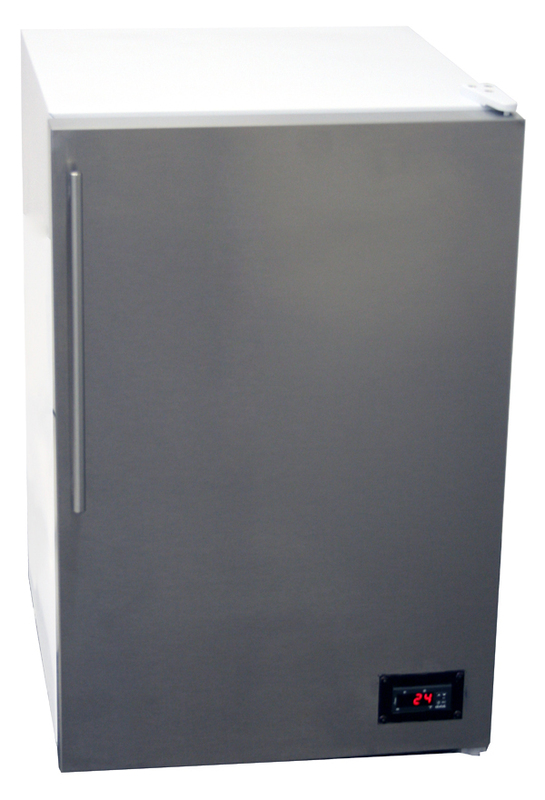 SUMMIT PROFESSIONAL AL-650 is a 32 inch high refrigerator-freezer for lower ADA counters or assisted living facilities. 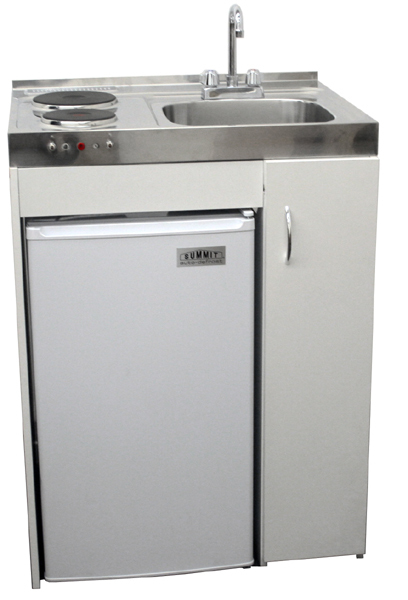 It has SUMMIT's unique dual evaporator cooling with a zero degree freezer. 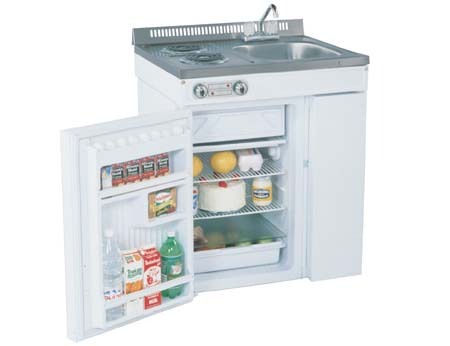 It is 24 inches wide and featured with reversible doors, adjustable shelves, interior light, a crisper and door storage. This model is available in SUMMIT COLORS. Match, contrast, or accent your cabinets by calling attention to the refrigerator - have it blend in with its surroundings or add fun to a special room. Click here to see the available colors. 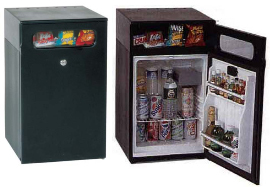 Forget what you know about cold beer, Summit Appliance has just changed everything. With the Summit Cold Cavern you get beer so cold the bottle literally frosts over when removed from the unit! How cold is it? 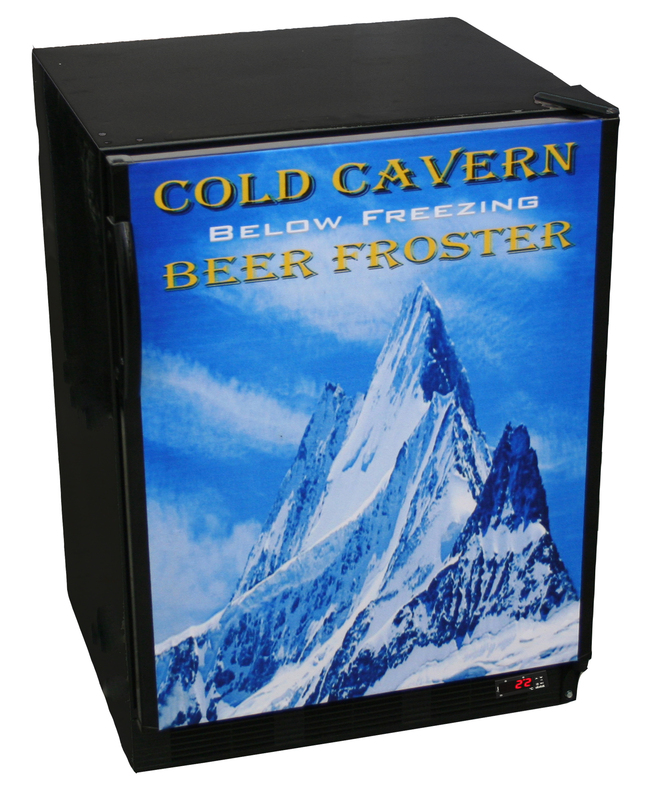 The Cold Cavern stores your beer at a frigid 24°F, just before freezing, in order to give you the coldest crispest beer possible. Taste tests by a leading beer manufacturer revealed an overwhelming majority of beer drinkers prefer beer served at colder temperatures. This also means beer stays colder longer so you can relax and enjoy your beer without worrying about it getting warm. Treat your guests to the same quality and extravagance previously only available at upscale lounges and resorts. The Cold Cavern offers the ultimate in home entertainment with an ultra cool experience like never before. Its chill factor offers refreshment with a touch of sophistication for you and your guests. Customize the unit to meet your desired temperature with the front mounted digital thermostat. 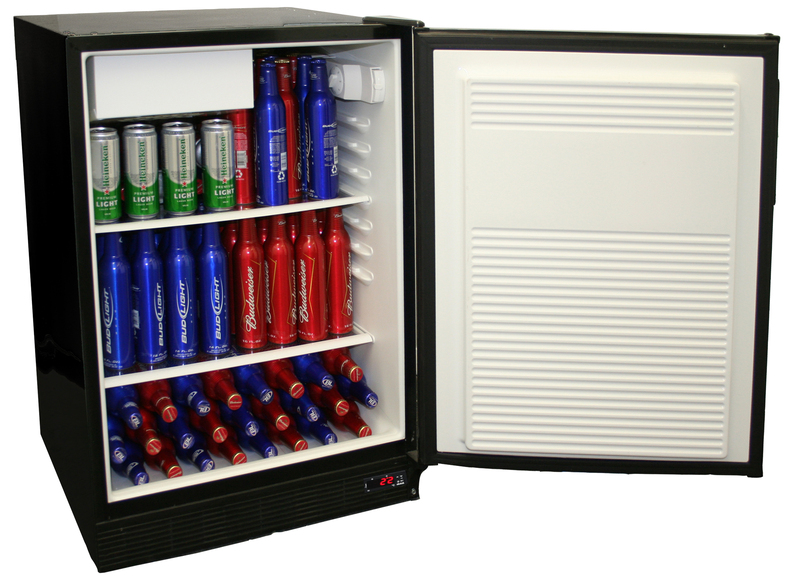 Fits up to 120 aluminum bottles, extra space on the door shelves for cans. 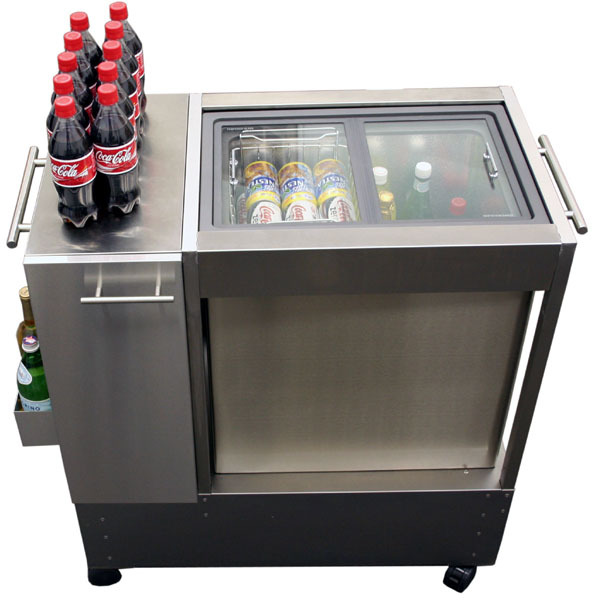 SUMMIT party cart RPC07 is a completely stainless steel cart shipped fully assembled (except handles) and includes a chest style glass lid refrigerator (Model FC07) with a stainless steel exterior.. Now, you can serve chilled beverages anywhere without the mess and fuss of ice cubes. The stainless steel cart features casters and two stainless steel handles to make it portable and easily maneuverable. 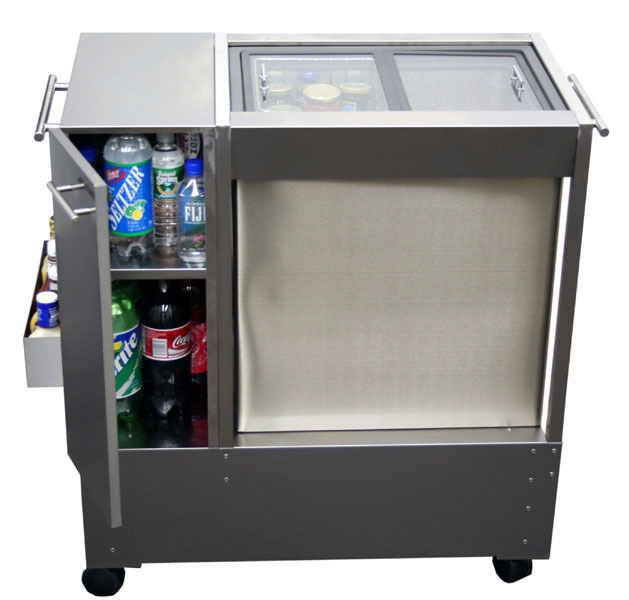 The fully stainless steel cabinet can hold cases of beverages, or large two liter bottles. 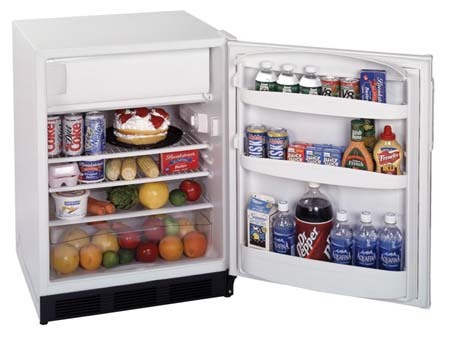 Now you can add extra refrigerator capacity, and extra storage capacity wherever needed. The cart is fully manufactured in the USA. SUMMIT beer dispensers are the quality leaders. While the market has been flooded with imitators, SUMMIT is the only company that can offer a choice of freestanding or built-in units, and models for homes as well as models that meet commercial standards. We can also offer a wide variety of finishes, including a rugged 18 gauge stainless steel top option. 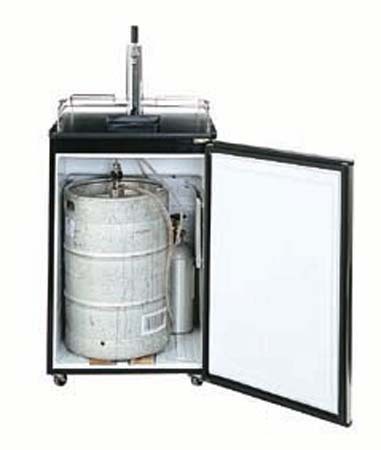 And all SUMMIT beer coolers are full sized, to accommodate any size keg available. Our SBC500 models have tens of thousands of satisfied users.